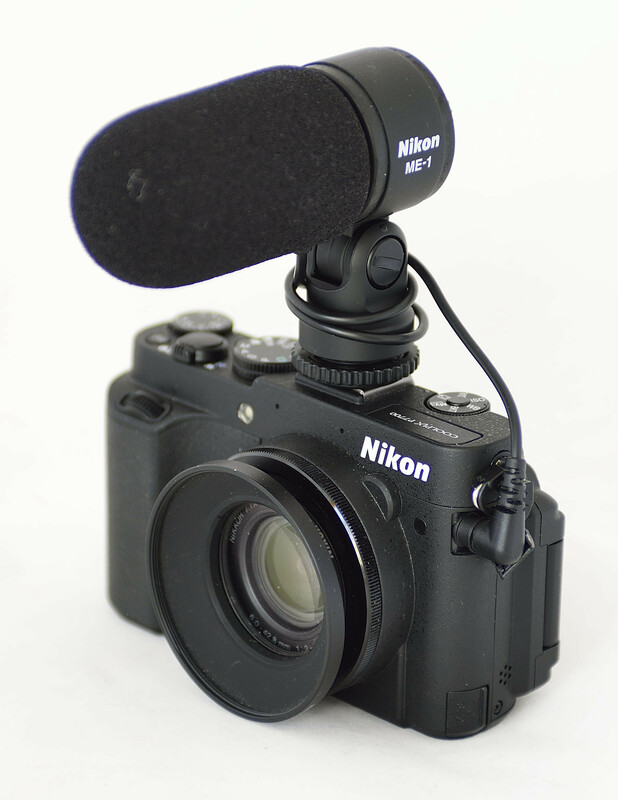 Early April 2011 Nikon Corporation introduced the Nikon ME-1 stereo condenser microphone for those digital cameras, that are able to shoot motion pictures (Nikon D3-series, Nikon D300S, Nikon D7000, Nikon D5100 and those Coolpix cameras fitted with a 3.5 mm. stereo mini-plug). The unidirectional* microphone features various vibration reduction systems to prevent noise recording via camera, AF-lens, microphone and/or cable contact. It is also weather-resistant. The microphone - weighing 93 gram - is powered by the camera it is connected to, so it will not use batteries. Its frequency range is 70 - 16,000 Hz. Sensitivity can be altered via the camera software. This very first Nikon microphone comes with a cable, a wind screen and a soft case. 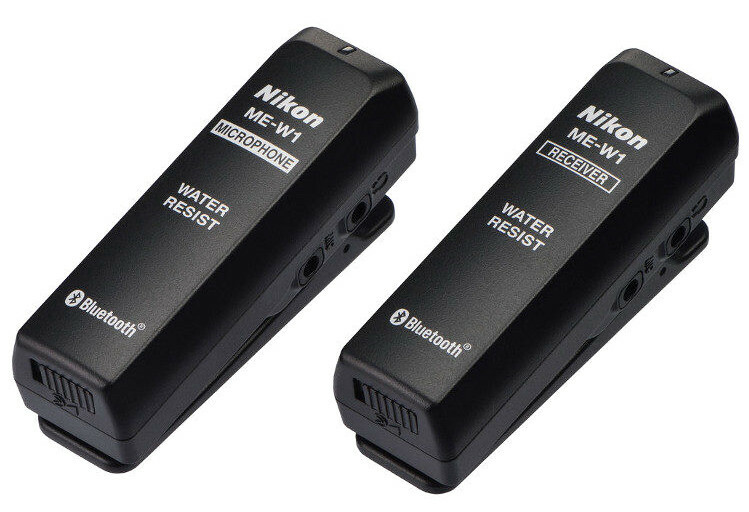 With the introduction of this microphone set early March 2015 it is possible to record clear off-camera stereo audio when recording movies with a Nikon digital camera equipped with an external microphone connector (digital SLR camera, Nikon 1 camera, COOLPIX camera) via a Bluetooth® Power Class 1 connection. The set is water-resistant and can be used as far as 50 meters from the camera. Both distant sounds and those near the videographer can be recorded, and two-way communication (requires use of third-party headphones or earphones) between a distant subject and the videographer is possible. Stereo sound can be recorded when ME-1 Stereo Microphone (sold separately) is connected to the microphone component. * Unidirectional microphones are sensitive to sounds from one direction only.